High service standards set Changi apart from many other airports but meeting them comes at a cost. For ground-handling firms like Sats and Dnata, which are paid by airlines to process passengers and baggage, the pressure to meet stringent targets set by the airport is intense. Growing traveller numbers and rising manpower costs have made their job tougher in recent years. As competition between airports intensifies, the challenge for Singapore players is to strike a balance between sustainable operations and the need to keep Changi flying high. 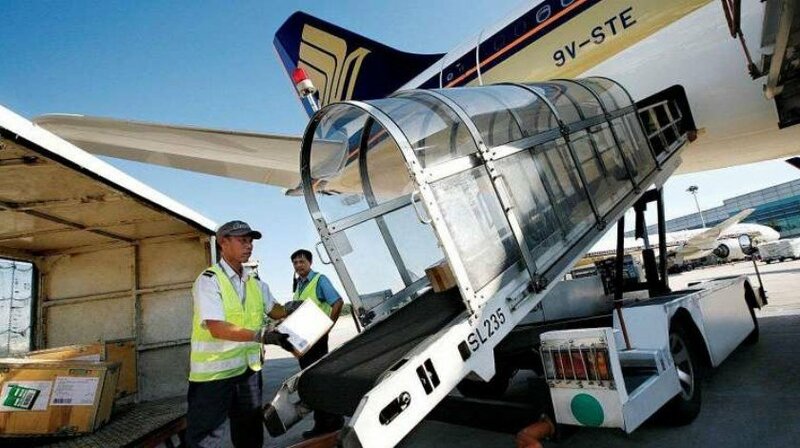 Growing pressure on ground handlers could explain why the Civil Aviation Authority of Singapore (CAAS), which sets service standards, revised them from April 1 – the first change in seven years. When it comes to getting bags from aircraft, for example, the clock starts ticking when the plane stops. A worker rushes to offload as many bags as his small vehicle can carry. The first must hit the baggage belt within a stipulated time, which used to be 12 minutes. The last had to arrive within 25 minutes. This explains why there is usually a gap between the first few bags arriving and the next wave. This is neither cost-effective nor efficient. The CAAS, which has never published the service standards, did not provide details of the recent changes but sources say a couple of minutes have been added at each end. For check-in, there are also standards for the maximum waiting time to get to the front of the counter and the time taken to process each traveller. Before April 1, the maximum queue time allowed was 10 minutes for all travellers – full-service or budget. Those flying budget carriers can now expect to wait a little longer. The changes should help take some pressure off ground-handling firms, which can be fined for non-compliance. It also reduces tension between airlines and ground handlers, insiders said. Problems can and do occur when an airline, for example, refuses to pay for extra check-in staff and counters. The ground-handling firm, which must meet CAAS standards, sometimes ends up bearing the extra cost. Whatever the operational difficulties, it is critical for Singapore to maintain its status as a key aviation hub. The stakes are high: The aviation industry accounts for 6 per cent of Singapore’s gross domestic product and hires about 55,000 people. With the demand for air travel in the Asia-Pacific set to soar in the coming decades, airports around the region, including those in Hong Kong, South Korea and China, are beefing up resources to cash in. Changi Airport has Terminal 4 coming up next year and T5 by the end of the next decade. This will boost total capacity from 66 million passengers a year now to 85 million. To keep travellers coming, Changi must not only improve its infrastructure and facilities but also ensure quick and seamless check-in and baggage operations. People will become more well-travelled and expectations will continue to grow. Airlines and ground handlers may see costs rise and margins shrink. But compromising standards is not an option. The big push towards self-service options for check-in, baggage tagging and aircraft boarding is a key step in the right direction. The recent revisions to the service standards will no doubt worry some travellers, who already complain that service levels have been slipping at Changi over the last few years. But it is also true that for the majority of those who are well-travelled, Changi still ranks among the world’s best airports. The challenge is to keep it that way.